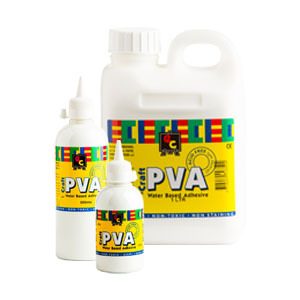 EC PVA Craft Glue is a general purpose adhesive ideal for internal usage. This adhesive performs best when used for woodwork, paper, board, fabric and craft work. EC PVA Craft Glue is non-toxic and dries clear.